Jonathan's brother was a priest in the Archdiocese of New Orleans, and his grandfather was a famous local sportswriter. He and Katherine first met at Christ in the City, a night of Adoration and fellowship hosted by the archdiocese, but she didn't think much of their first encounter. A few weeks later, the New Orleans natives met again at a Mardi Gras parade, where they danced together in the street. That night, Katherine started to see him differently and realized how much fun this man was. Jonathan soon asked Katherine out, wherein they ate charbroiled oysters and listened to live jazz--two beloved New Orleans traditions--on their first date. Katherine noticed right away how secure she felt with Jonathan, and they spent many of their early dating days exploring their city. It wasn’t long before they realized God had brought them to each other. They recognized early on that they were meant to be together for life. On October 22, the feast of Saint John Paul II, Jonathan carried out his plan to propose. He knew it was a special day because of Katherine's devotion to the pope, and he also knew he'd have to work hard to surprise her. 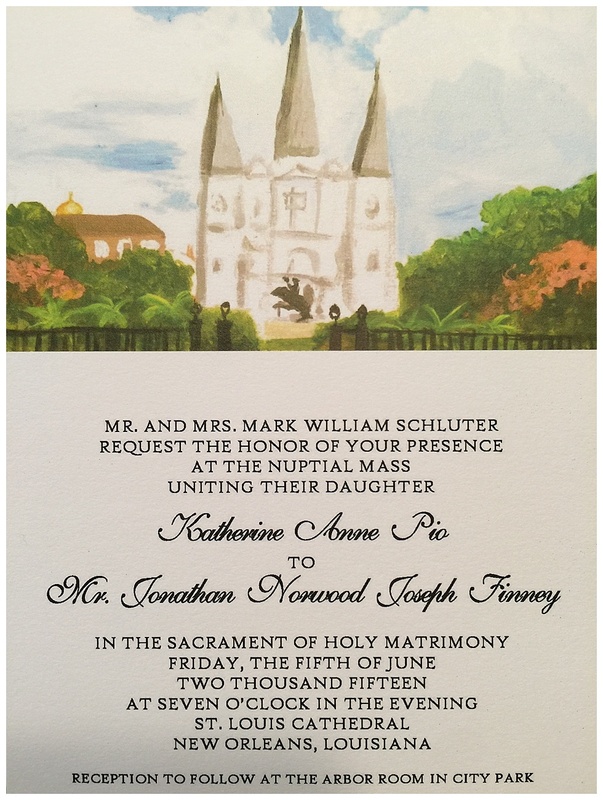 So he asked the diocesan young adult coordinator to send an email about an event happening in the St. Louis Cathedral in honor of the feast day--to Katherine only. John Paul II visited the cathedral in 1987 and prayed in some of the same spots Katherine and Jonathan frequented. Right after receiving the email, Katherine forwarded it to Jonathan, telling him they should go. His plan worked! When they arrived, there was no one at the cathedral except the two of them. 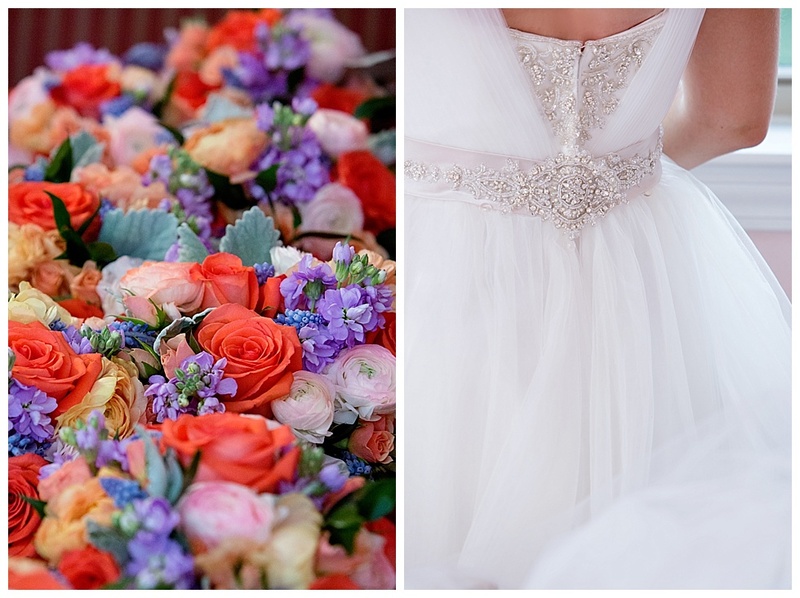 They walked down the aisle towards the altar and knelt. Jonathan proposed there before the tabernacle, where just months later they'd make their vows and kneel before the Lord for the first time as bride and groom. Jonathan's brother, the priest, exposed the Eucharist afterwards as they took time to rejoice together before the Father. Every year on the anniversary of their first Mardi Gras parade, Katherine and Jonathan celebrate the first of many times they danced together. 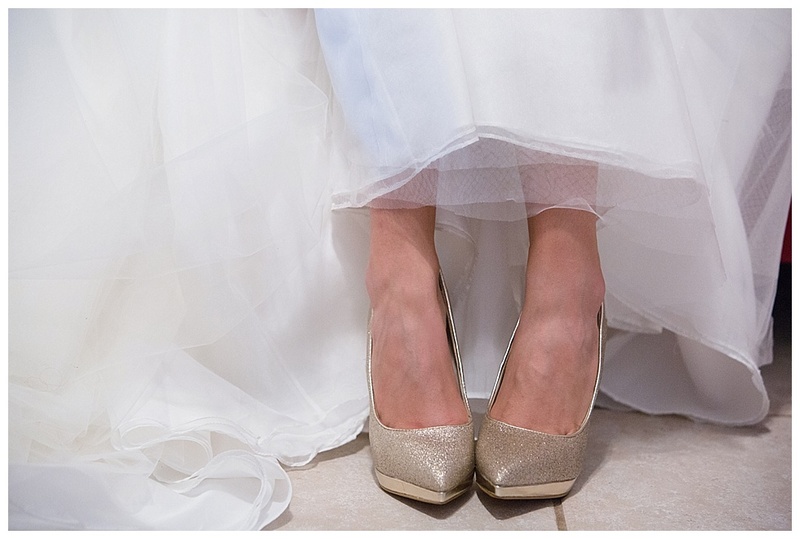 From the Bride: The night before the wedding, Jonathan and I decided to have our rehearsal dinner filmed. Words of Affirmation is a shared love language of ours, and we knew there would be a few speeches from the night that we'd want to cherish. It was so important to both Jonathan and me to be peaceful the day of our wedding. We knew there would be so many things going on, but we both just wanted to focus on how we were entering our vocations that day, with Christ as our goal. So I started off the day in Adoration while Jonathan went on a quiet run. This helped both of us truly focus on what was about to happen. The day was June 5, and it was absolutely beautiful. Granted, it was June in New Orleans, so it was pretty hot. But the sun was out, there was joy and anticipation in the air, and it felt like the weather knew exactly how to showcase this. My bridesmaids and I got ready at my childhood home. This was really special to me; this home was my family's since I was two years old, even enduring total destruction and renewal during the time of Hurricane Katrina. 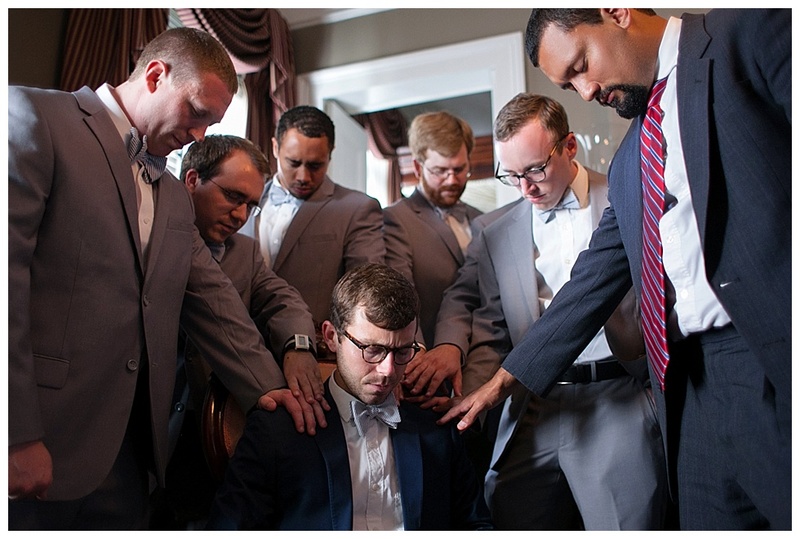 Jonathan had worked at the cathedral since he was in high school, and he and the groomsmen were allowed to utilize the rectory as their place of preparation. 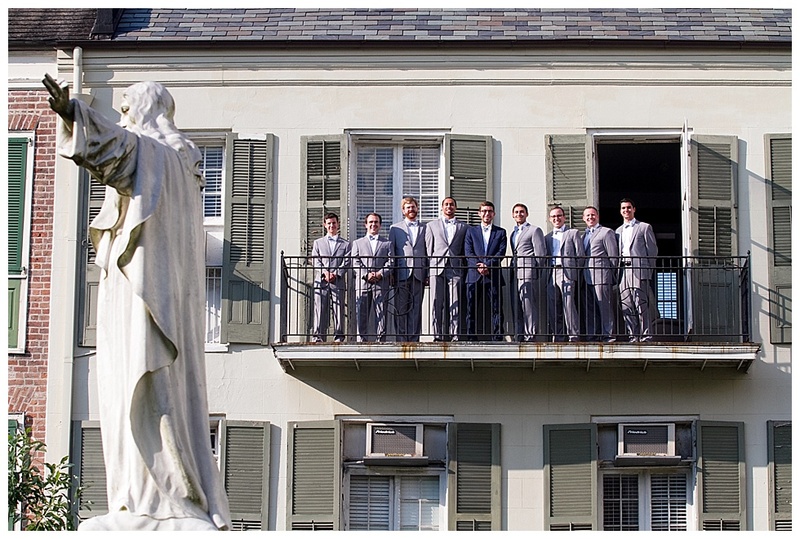 This made for incredible groomsmen pictures in St. Anthony’s Garden behind the cathedral. Jonathan and I wrote wedding-day letters to each other which were delivered by our siblings. In addition to a letter for me (addressed to Mrs. Finney, my married name!! ), Jonathan gave me an incredible gift: he took the time to type up and put together a bound book of all of our text messages, from our first ones to the ones right after we started dating. My tears flowed abundantly when I received it. I was overwhelmed with emotion, looking back on when we first started talking to each other to where we were that day: about to start our married life together. It was truly one of the greatest gifts I’ve ever received, and it came to me on the perfect day. The bridesmaids and I took our time getting ready, as the wedding wasn’t until 7 in the evening. It was such a beautiful day full of prayer and laughter. When we got to the cathedral, everything went so smoothly and prayerfully. 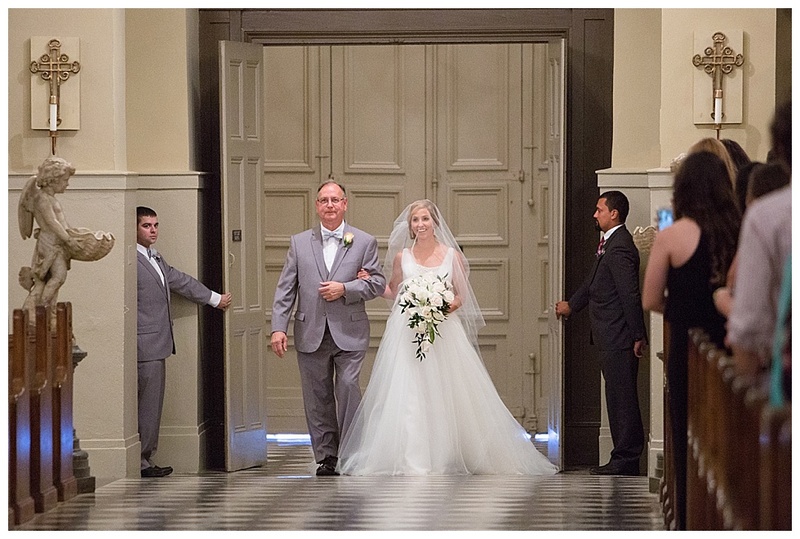 My father and I walked down the aisle to a song called “I Give Myself Away,” which was sung by my high school students. They did a fantastic job. It was so meaningful having them there to sing such an important song, as I prepared to give myself away to my groom. In addition, so many of my students came for our ceremony that almost the whole center of the church was full. This truly touched me, because it reminded me that as a married woman, I can be a witness to the goodness of God. When I approached Jonathan, I saw that one of his glasses lenses was fogged up because of how much he was crying. It was precious! Our Mass was absolutely beautiful. I couldn’t have imagined it being more prayerful and special. Father Peter, Jonathan’s brother, was the main celebrant, and he gave such a personal and well-written homily about how our steps together lead us to our ultimate goal--union with God in heaven. We said our vows holding a crucifix to represent the reality that we are taking up our cross through this marriage, and we want to bring each other to where Jesus is. The chalice used at our wedding was used by and donated from St. John Paul II when he visited New Orleans in 1987. Receiving the Eucharist was the most emotional part of the wedding for me because not only did I receive Jesus from such a meaningful chalice, but I was deeply aware of the fact that Jesus is my one true love and that Jonathan is here for me so that Jesus can love me through him. Jonathan and I prayed before both a statue of Our Lady of Prompt Succor (meaning “quick help”--she is the patroness of New Orleans) as well as St. Joseph. We thought it was important to pray not only before our Blessed Mother but also her spouse, since both she and St. Joseph have been a major influence on our relationship. Jonathan and I walked down the aisle together as man and wife to a beautiful rendition of Charles-Marie Widor’s "Toccata.” This was significant for Jonathan, since it was the same song to which his mom and dad processed out of the church at their wedding. The reception was so much fun! We had a live band and wanted to represent tons of New Orleans traditions. 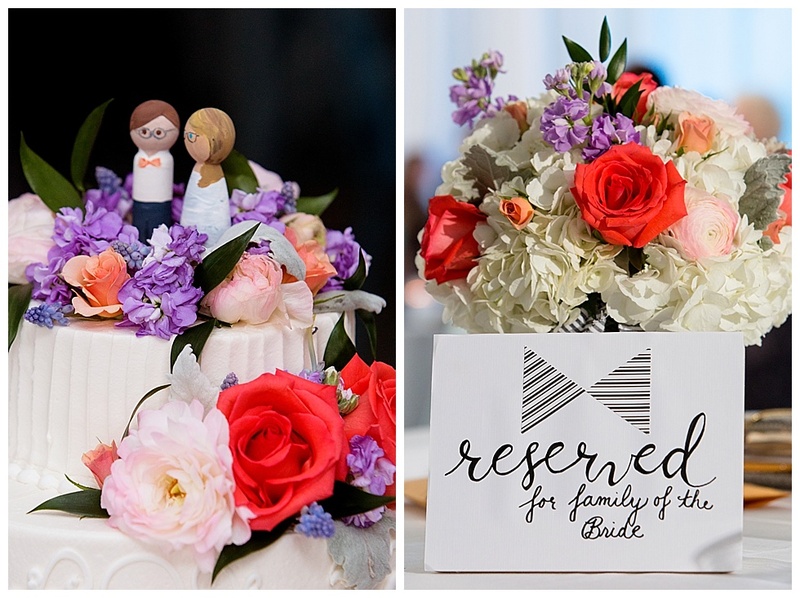 One of those traditions, a common one in the South, was a groom’s cake. 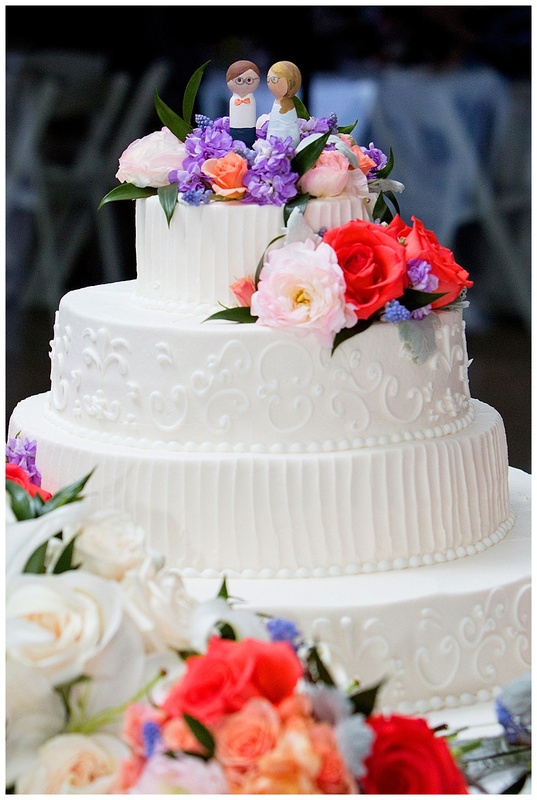 Jonathan's groom’s cake was a three-tiered king cake, a dessert eaten in New Orleans during Mardi Gras season. The first tier was purple and gold for LSU, Jonathan’s alma mater. The middle tier was black and gold for our favorite football team, the New Orleans Saints, and the bottom tier was purple, green, and gold to represent Jonathan’s favorite time of year and the time we fell in love--Mardi Gras. I made the cake topper out of modeling clay and paint, and it represents Jonathan as a doctor and myself as a high school religion teacher, holding the Catechism. Another New Orleans tradition is to have cake pulls at the bottom of the wedding cake for the bridesmaids. The pulls have charms on the end to represent something for the bridesmaid--for example, who’s going to have the next baby and who will get married next. I used New Orleans symbols--a streetcar, pelican, saxophone, and others--as the charms for my cake pulls, and adapted them to take on traditional meanings. 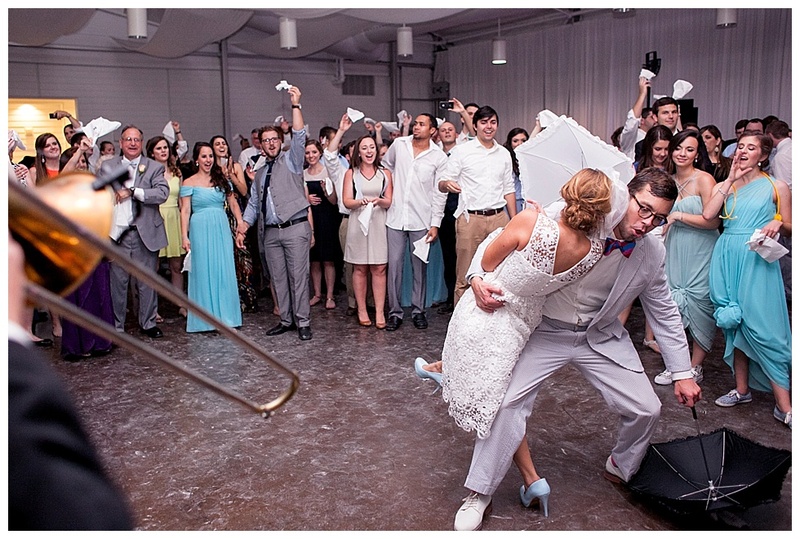 Lastly, one of our favorite New Orleans traditions was having a second line out of the reception to end the party. Traditionally, a second line refers to the people or crowd that marches behind a brass band as they process out of a church after a funeral. 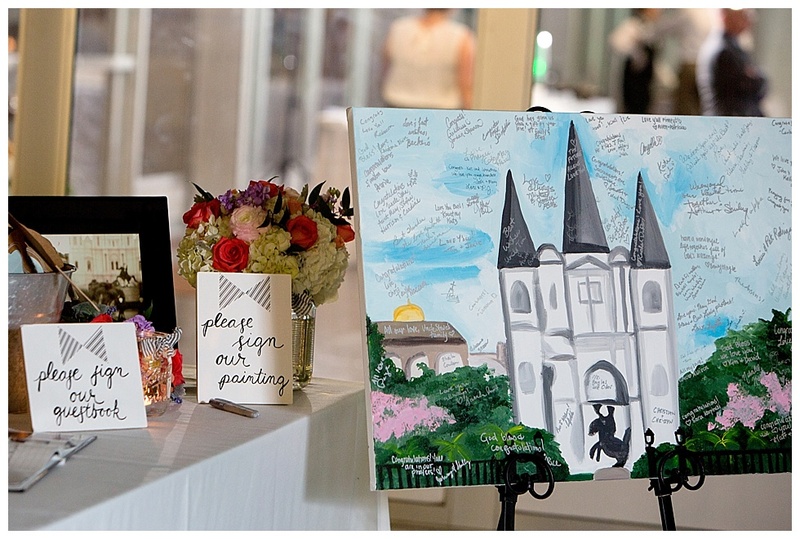 More recently, New Orleanians have adopted “second lines” for weddings as part of the reception. Just before our second line, Jonathan and I changed into our “going away” outfits and danced the last few songs before the second line started. Once the second line was over, we made it to our getaway vehicle and drove off towards our honeymoon. The night was everything we wanted it to be--prayerful and peaceful, but also extremely fun. 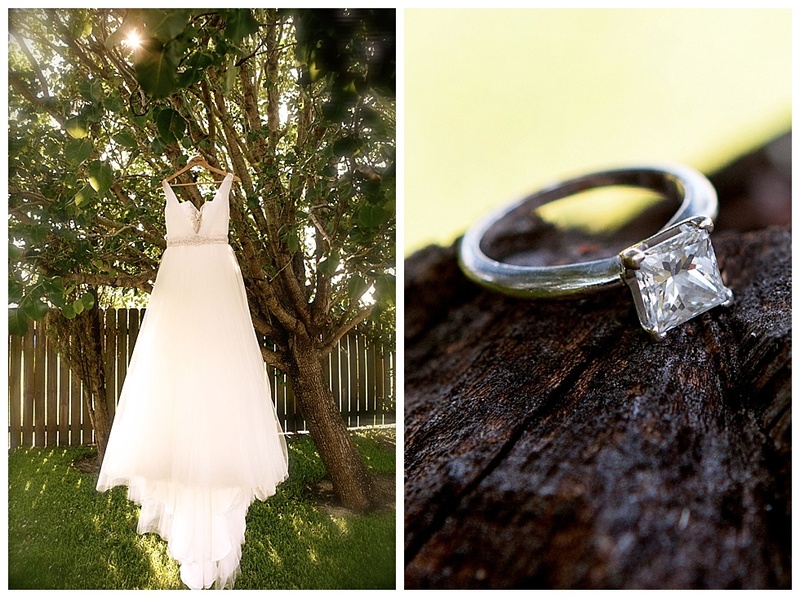 Overall, Jonathan and I wouldn’t change a thing about our wedding day, since it was a day that celebrated perfectly our sacramental love with Jesus at the center--and a whole lot of dancing at the end! It is only when we realize Christ is the one who can really fulfill us that we can be truly happy. Our wedding, for me, was a depiction of this idea because it centered on God as our one true love--the one from whom we came and the one to whom we're going. I believe we gave our guests an opportunity to witness this reality through the beauty and prayerfulness of our liturgy. 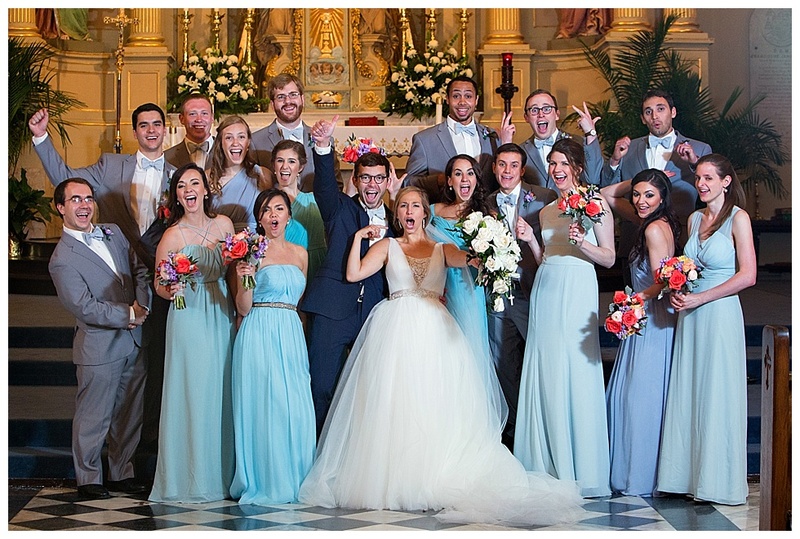 Since God is a God of joy, and everyone wants joy, we wanted our wedding celebration to be filled with lasting joy. 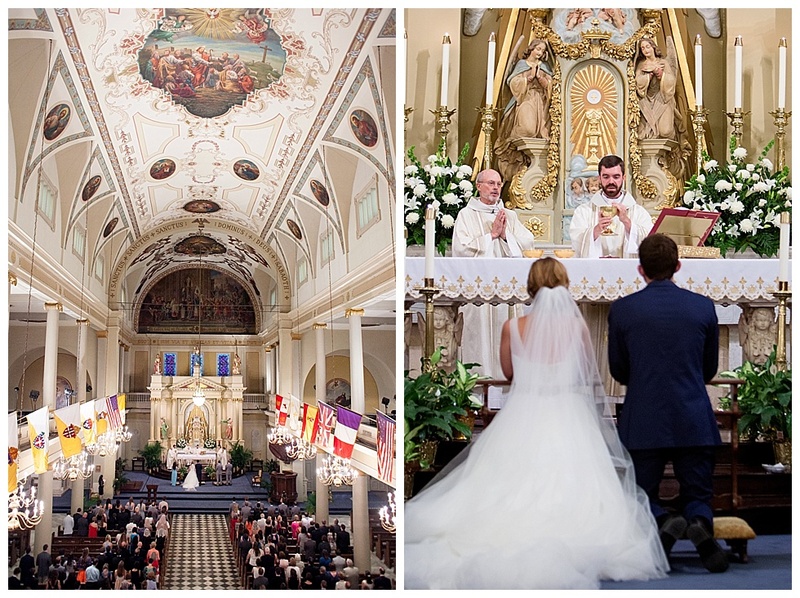 By focusing primarily on Christ and setting the stage for the night with our liturgy, we were able to enter into a time of great joy, dancing and celebrating at our reception. We celebrated a God who gives joy through dancing and carrying out classic New Orleans traditions that were special to us.